The Napa Valley’s landscape is renowned for its rolling hillsides and lush valley floor where endless waves of vineyard create glorious stretches of views. The Napa Valley’s terroir gives life to vines that produce famous California wines and this place is where prestigious wineries and estate vineyards make their homes. When you encounter the Napa Valley it is impossible not to be enraptured by the beauty, abundance, and romantic atmosphere this place exudes. Visiting wineries adorned with the best views of Napa’s luscious landscape pairs perfectly with the extraordinary wine produced by them. 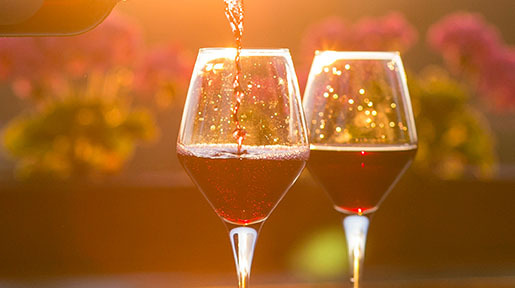 Napa Valley wineries place an immense value on the sweeping vineyard scenery thus securing it as one of the many Napa Valley luxuries sought out among wine novices and connoisseurs alike. The best views in the Napa Valley are fully experienced by visiting wineries and estate vineyards who showcase Napa’s captivating surroundings; the views included at these wineries are invaluable to the Napa Valley experience. Listed here is a combination of wineries and estates with the best views in the Napa Valley, these particular wineries are sure to render your stay the utmost exceptional. Visiting wine country? 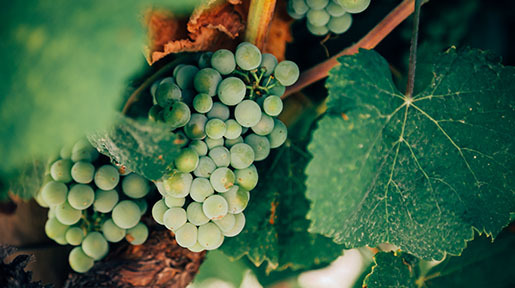 Get the Priority Wine Pass: 250 California Wineries, 1 Amazing Year Worth of Tastings, Only $45. Continuum Estate- Perched high up on Pritchard Hill visitors to Continuum Estate will attest that nobody knows the importance of location like the Mondavi legacy. Guests having tours and tastings at Continuum Estate are exposed to the best views the Napa Valley has to offer. Tim Mondavi understood how his hillside site would be fundamental in producing a famous single estate wine and, lucky for us, his vision also brought breathtaking views with it. 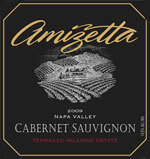 Amizetta Estate Winery- Tucked away in the heart of the Napa Valley, charmingly situated on the southern side of Howell Mountain, is the vineyard lovingly named “Amizetta.” Spencer and Amizetta Clark are a husband and wife winemaking duo who greatly cherish their coveted yields of hillside Napa Valley fruit. Visitors are thrilled to spend time admiring the views of Lake Hennessy and the Conn Valley while exploring Amizetta’s world class Cabernets and Bordeaux varietals. Caspar Estate- Elevated above the Rutherford bench of the Napa Valley and gracing the ridges of the Mayacamas Mountain range you will thoughtfully taste Caspar Estate wines. There’s a rich family history bonded with a passionate desire for preserving the purity of their beloved land. Caspar Estate’s devotion to producing meaningful wine combined with the vineyards stunning views make it easy for visitors to become invested in this vineyard’s sustainable farming practices. 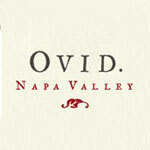 Ovid- Established at the top of Long Ranch Road approximately 1400 feet above the Napa Valley floor looms the mighty winery named Ovid. This exclusive vineyard is highly recommended but unknown to most. It is a Napa Valley treasure chest of views that will convince you heaven is a place on earth. The winery overlooks Ovid vineyards and these views are sure to take your breath away. Please note, wine allocations are continuously sold out, vintage after vintage, so join the waiting list today. Rombauer Vineyards- Hidden a little ways off the Silverado Trail amidst the foliage and greenery of Saint Helena you’ll be mesmerized by the loveliness surrounding Rombauer winery. The quaint tasting room is reminiscent of a log cabin built into a hillside and the views from the patio seating are spectacular. Family owned and operated for over 35 years this winery provides wine tasters comfort and ease with an unpretentious quality that is a rarity in the Napa Valley. The property is stunning with various paths and walkways around the gardens where the views will delight lovers of nature and wine. Visiting wine country? 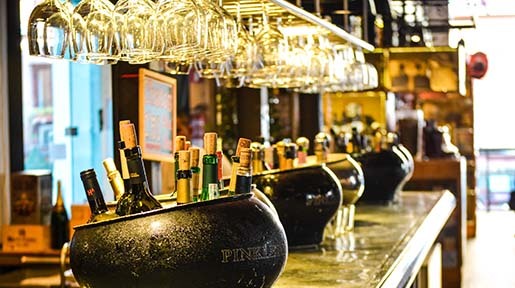 Sniff, Swirl, Sip, and Save with The Priority Wine Pass. Save up to $150 in tastings per Day! It’s good for the year at 250 California wineries. 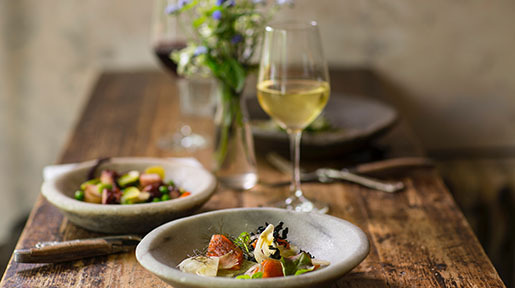 Suggested Wine Pairings for over 100 foods. BEST OFF-THE-BEATEN-PATH NAPA TASTING ROOMS After having visited numerous renowned wineries, many of us are looking for the hidden gems within the Napa Valley. Good wines are certainly valued, but the entire experience a winery provides leaves guests wanting to return and telling their friends and family to visit. Each winery listed in this article has some special draw, whether it’s art, architecture, ambiance, gardens or compelling history. The California Central Coast, identified as Santa Barbara, San Luis Obispo (and its main wine region Paso Robles) and Monterey is California the way it used to be, or at the very least, California the way people want it to be: small towns, charming architecture, varied history of Missions and Indians, and coastlines for miles; a slow pace, clean air and a belief that no one real really works very hard. But the area has been home to grape growing since the Spanish brought vine cuttings from Spain via Mexico in the late 1700s and winemakers and vineyard managers have been working hard ever since. To celebrate this beautiful region IntoWine.com offers these 50 wines that represent the diversity of the California Central Coast. NORTHERN CALIFORNIA WINERIES GO ORGANIC, SUSTAINABLE AND BIODYNAMIC From large to small, northern California wineries are starting to color their operations green, whether by organically growing their grapes, practicing sustainable activities or creating biodynamic environments.